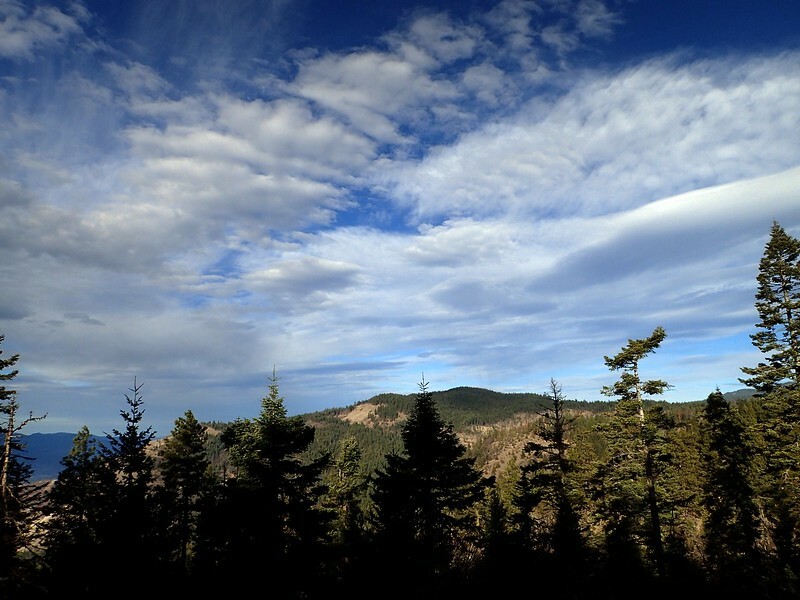 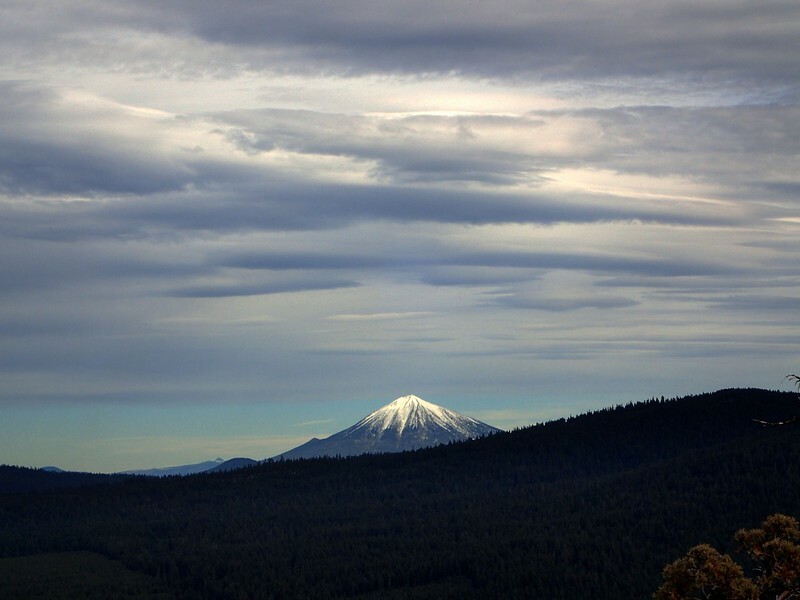 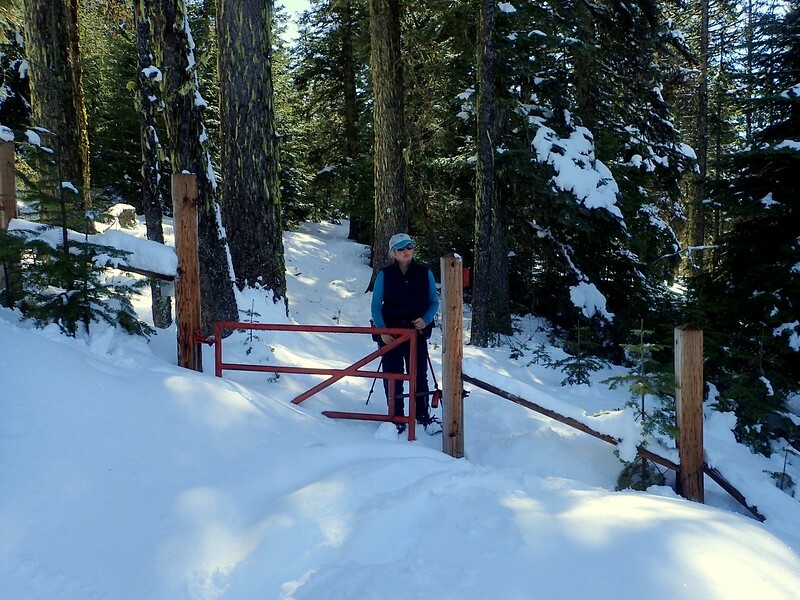 Last winter – the one with snow – we did a fun and not-too-hard snowshoe hike to Hobart Bluff in the Cascade-Siskiyou National Monument from Green Springs Summit on Highway 66. 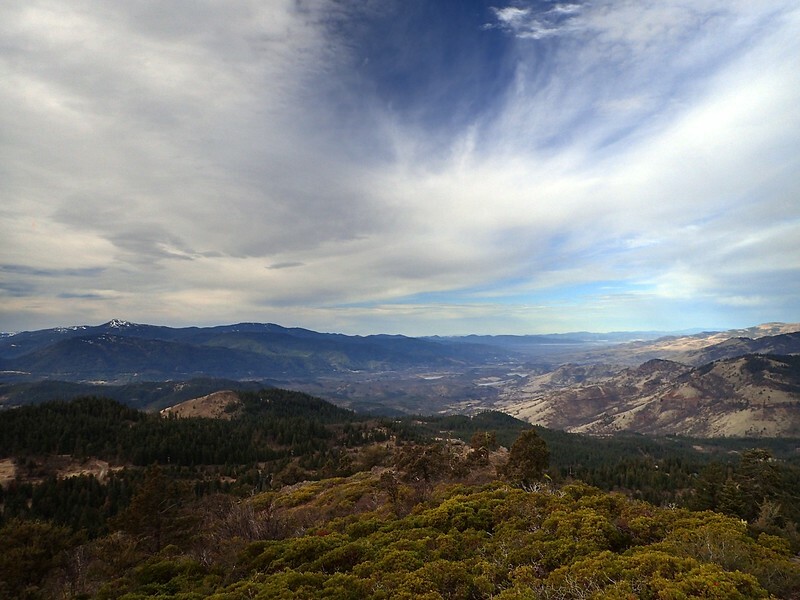 In summer or a snowless winter, reaching Hobart Bluff is an easy, pleasant three or six mile (round-trip) day hike through white fir and oak/chaparral forests and high-country meadows to the Bluff’s craggy basalt cliffs with their expansive views of such peaks as Mount Shasta, Mount McLoughlin, and Pilot Rock. 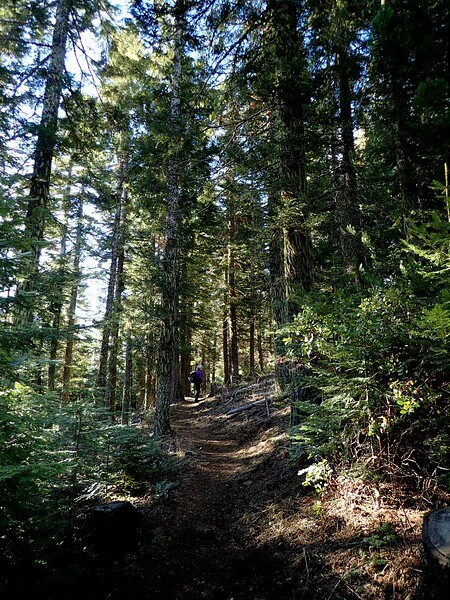 Rather than pine (or whinge) endlessly for snow, we opted to hike from Green Springs Summit to the Hobart Bluff Trailhead via the Pacific Crest Trail (PCT), then return via the Soda Mountain Road with a mountain bike-assist. 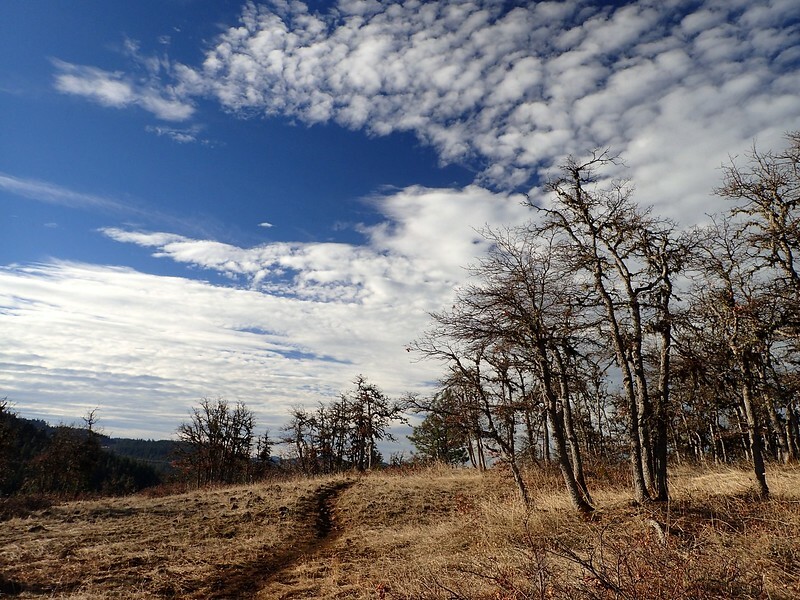 One impetus for this hike was the promise of a sunny day. 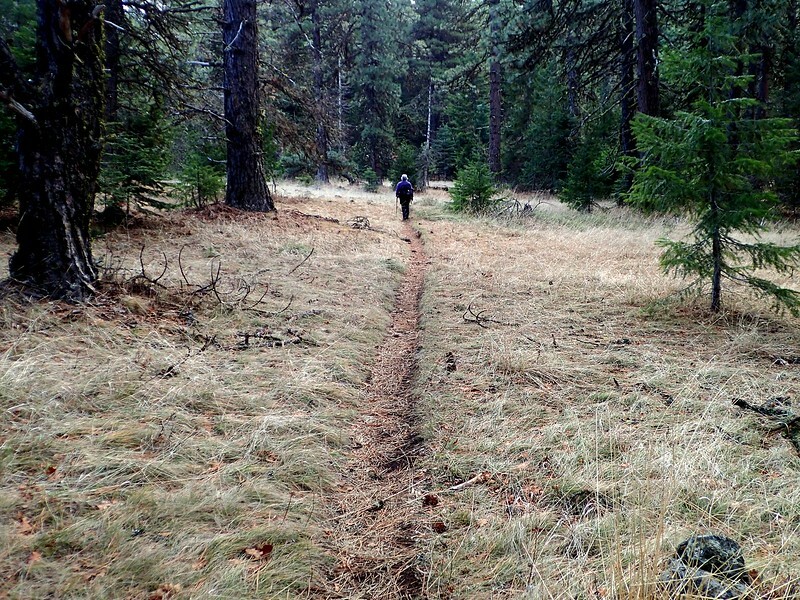 As is often the case with weather fueled by irony, this promise was only good for the drive to the trailhead and the first hour or so on the PCT. 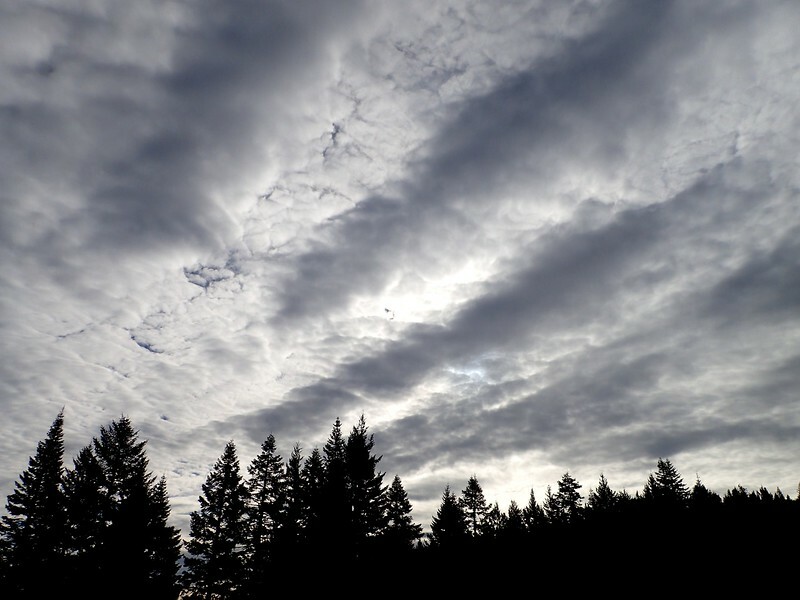 After that, clouds started to scoot overhead in anticipation of a storm that didn’t actually materialize the next day. 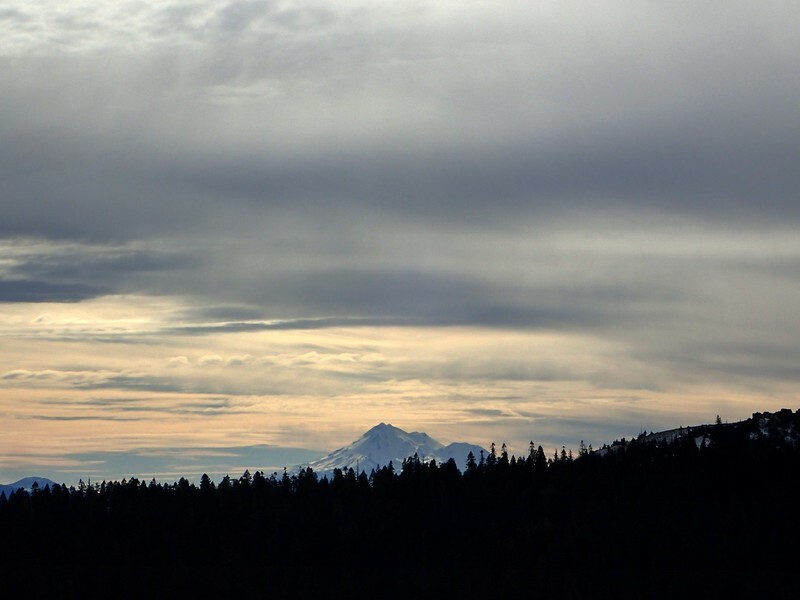 Still, the clouds weren’t thick enough to obscure all the views and did add some artful whimsy to our snapshots. 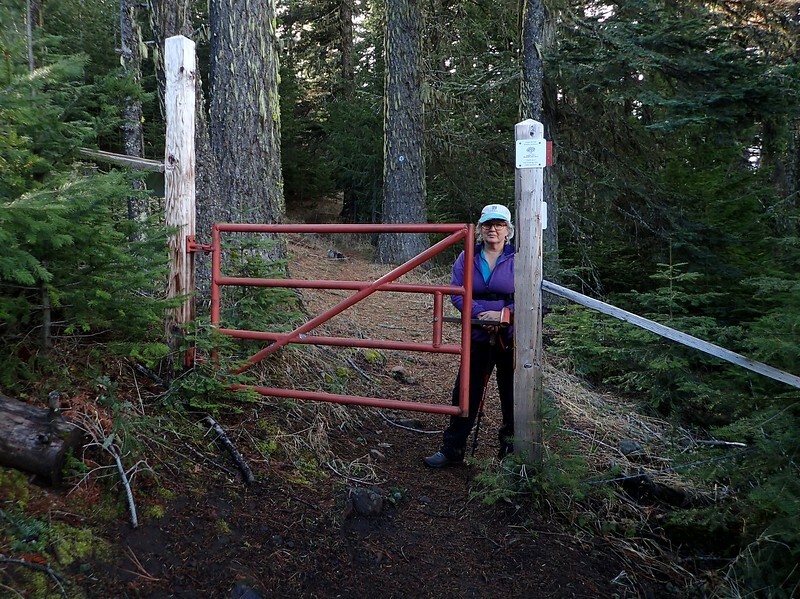 Along here is where the PCT passes through a wildlife conservation area, at the south end of which is a gate, which proved to be a good gauge of snow depth. 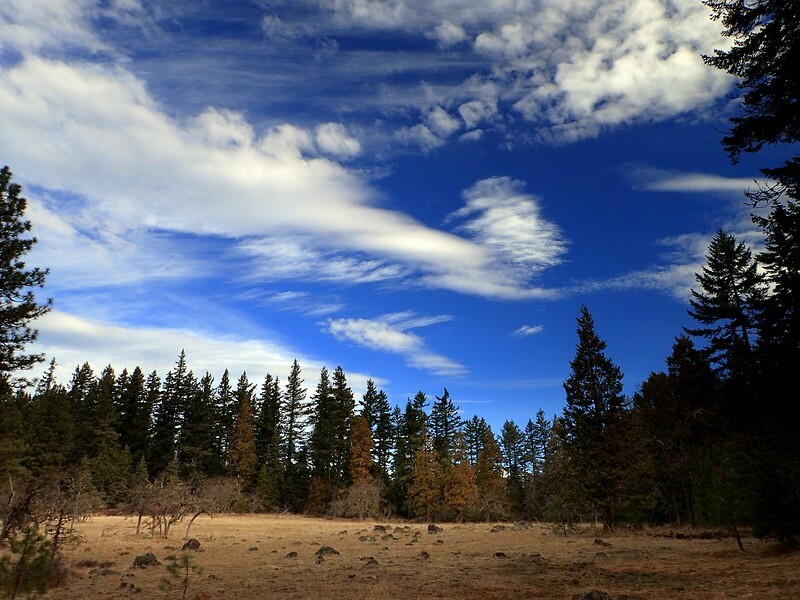 So on we rolled, across bare meadows, under whimsical clouds that gradually assumed a more menacing countenance. 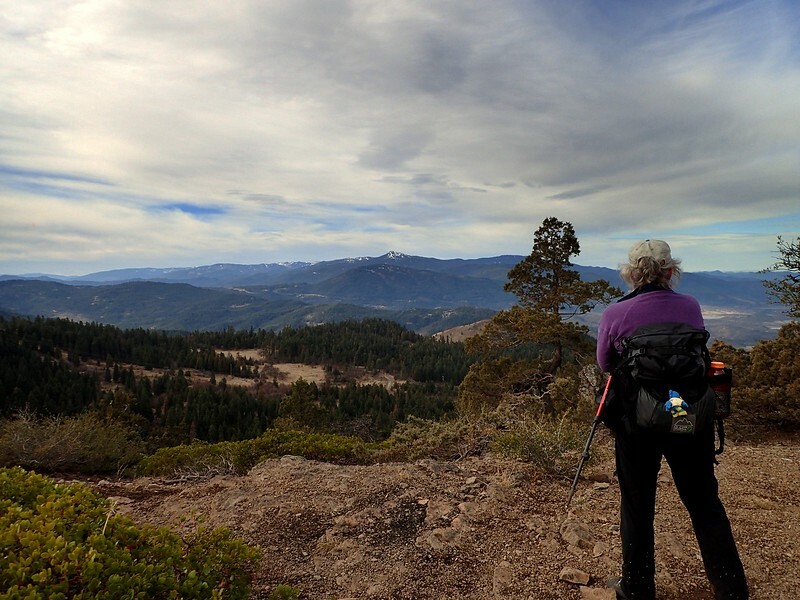 This is one of the mellower stretches of the PCT and without snow or snowshoes, we reached the summit of Hobart Bluff pretty quickly.